Combine all the seasonings until well incorporated. Rub the spice mix all over the pork shoulder. In a pan, heat vegetable oil. Add the pork and cook until browned all on sides. In the slow cooker, add onions to bottom. Remove pork from frying pan and place in the slow cooker, including all the liquid and oil from browning. Add remaining ingredients, such as tomato paste and vinegar. Cook on low for 8 hours. Once cooked to desired doneness, use a fork to delicately shred the meat. Serve immediately with BBQ sauce. 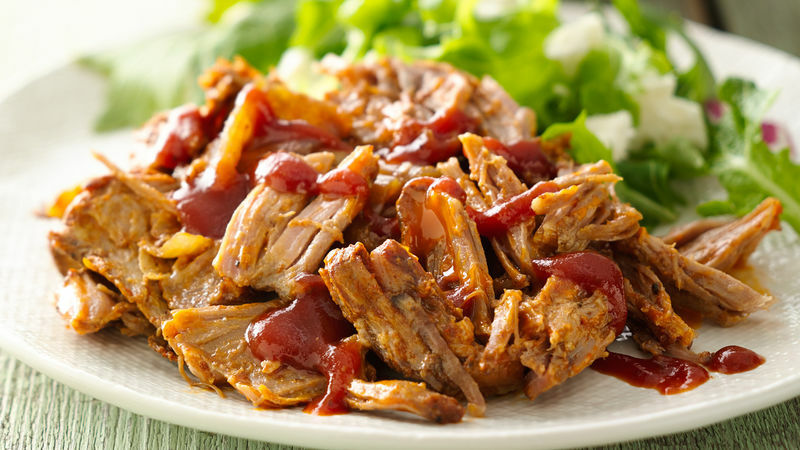 This slow cooker recipe makes great BBQ pork sandwiches. Slow cooker recipes are a busy mom’s best friend during back-to-school season. I love that the slow cooker allows me to use down time in my mornings to prepare dinner, because those precarious moments before dinnertime are always a challenge in our home. Easy slow cooker recipes are not only hearty and flavorful, but also make life a bit easier, and this slow cooker BBQ pulled pork recipe does all those things for my family.